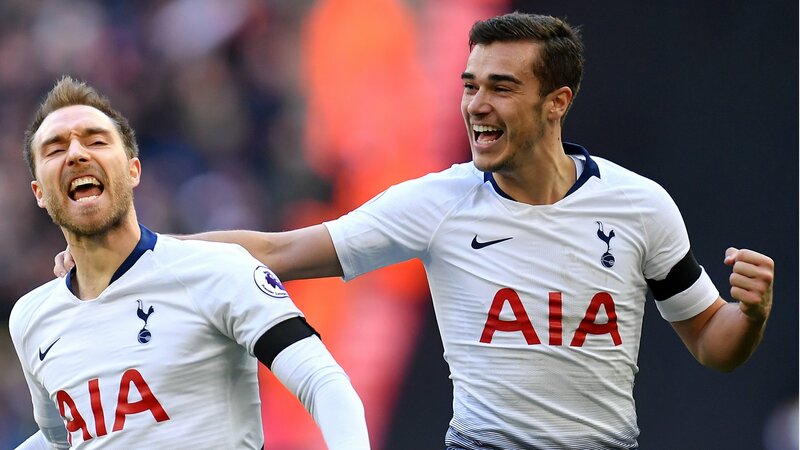 It is a little disrespectful that not many people are talking about Tottenham as potential Premier League winners, because they are in the title race – and they have shown they are not going away. Mauricio Pochettino’s side have done something similar in each of their past four league games, but it is actually very impressive that they keep getting results when none of those performances have been particularly great. I thought Leicester were the better team at Wembley on Sunday and the Foxes created chance after chance by getting behind Tottenham’s full-backs, Kieran Trippier and Danny Rose, who stayed so high up the pitch. If that happens again in Wednesday’s Champions League tie against Borussia Dortmund, Spurs are going to be in trouble because I think they will get punished. Pochettino does not have the same resources or squad depth as his title rivals, and he also has to contend with the debacle over the club’s delayed move to their new stadium that has left them playing at a half-empty Wembley every week because of security issues. Ultimately, I still don’t think Spurs will come out on top, but with three months of the season to go, they definitely still have a chance and you cannot discount them. City, Liverpool and Spurs all won this weekend, and it won’t be the last time that happens this season. So it is all to play for all three teams. People are already talking about how Liverpool have been feeling the pressure when they dropped points against Leicester and West Ham, but in my experience you don’t feel it now – it is April when it really cranks up.